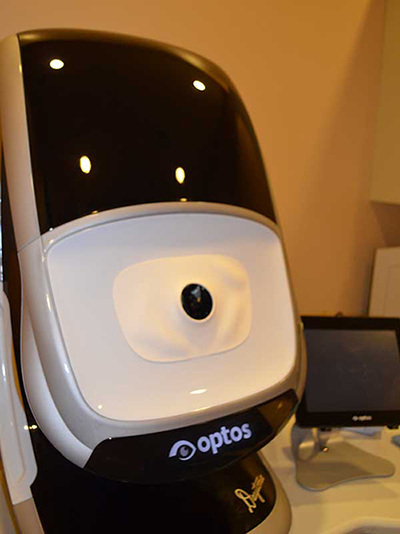 In our continued efforts to bring the most advanced technology available to our patients, we include the Optomap retinal exam as an integral part of your eye exam.Your eye exam will include testing for certain retinal problems such as macular degeneration and glaucoma as well as systemic diseases such as diabetes, stroke and high blood pressure. These conditions can lead to serious health problems including partial loss of vision or blindness and can often develop without warning and progress with no symptoms. Our offices utilize computerized medical and optical records so that your confidential health information is secure and readily available at every visit. 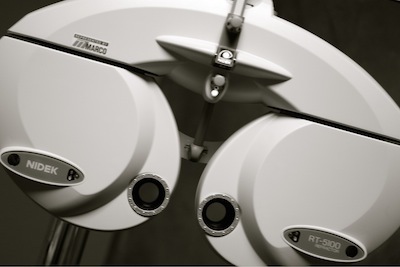 Our Auto Refractor allows us to provide you with the most accurate eyeglass and contact lens prescriptions available. Our HDT Vision Screener allows us to screen for early signs of glaucoma and other diseases. Our Auto Lensometer takes an accurate measurement of the prescription of your glasses, whether they are single vision lenses, line bifocals or invisible bifocals. Our computerized lens technology allows us to customize your lenses and provide you with customized fit frames and lenses.